You may remember us talking about a dealership in Ohio called Lebanon Ford, an automotive merchant and performance shop that specializes in factory Ford cars converted into high horsepower dream builds. 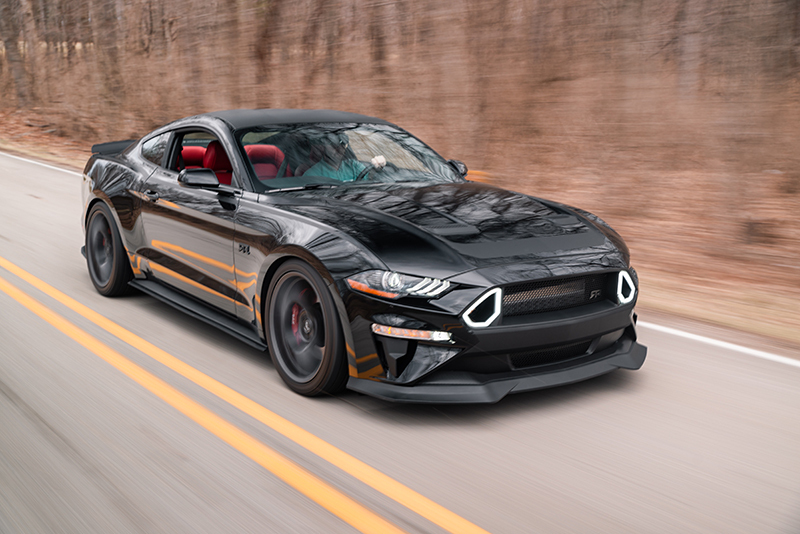 Now, the crew at Lebanon is back and is showing off its latest creation to the world: a twin-turbo, RTR-based Ford Mustang pumping out around 1,000 horsepower at the crank. The car began life as a base Mustang GT, pumping out a respectable 460 horsepower from the factory. 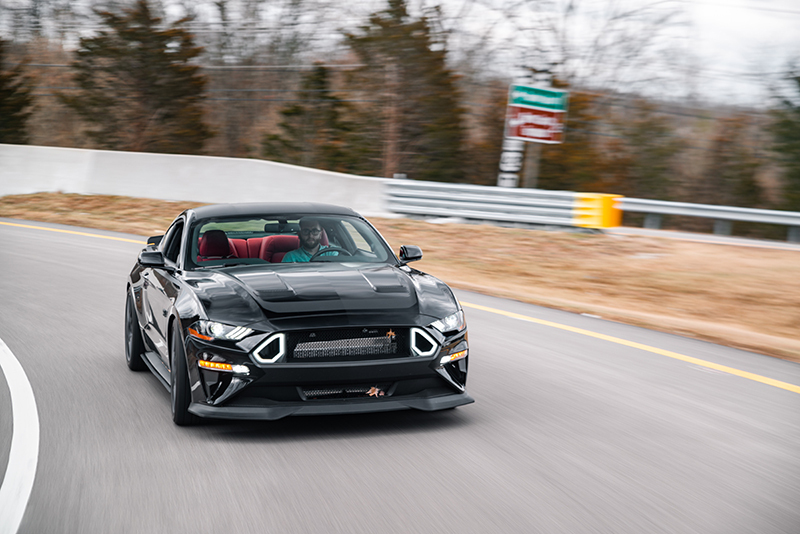 Lebanon Ford Performance decided to forego the typical formula for its 800 horsepower build, which largely surrounded the use of a Whipple inverted 3.0-liter supercharger kit. Instead, it raised the limit on the $39,995 price tag, which included a brand new Mustang GT, and the dealership instead opted to go bigger and better. A 62-millimeter Hellion Sleeper twin-turbo kit was purchased and installed on the car. Off the dyno, the car made around 700 horsepower to the wheels at 10 psi. After some additional upgrades, including an upgraded Ford Racing X-pipe and transition to E85 fuel. A quick boost to 12.5 psi yielded a comfortable 865 horsepower at the wheels with room to grow. The dealership now estimates that the car makes around 1,000 horsepower at the crank—an additional 25 percent over its 800 horsepower kit. LFP also decided to order in an RTR Spec 2 kit to further tweak the car. 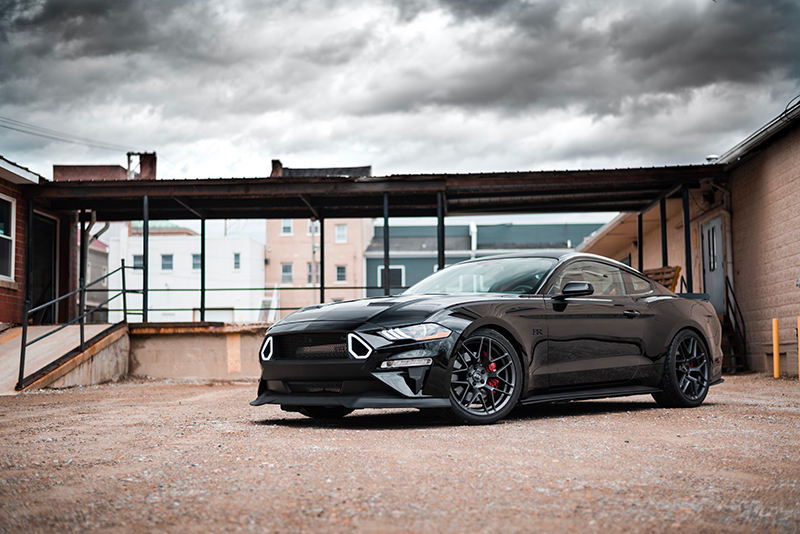 This includes a complete overhaul of the vehicle's exterior and interior aesthetics, Ford Performance springs, an axle-back exhaust, as well as RTR-branded wheels. The interior of the car was colored Show Stopper Red and the brake calipers were painted to match. This particular built-to-order car was priced in around $75,000, a spokesperson for LFP told The Drive, though less expensive options do exist. Modifications are all performed post-title, enabling the dealership to build the cars for customers without requiring a CARB certification — but that also means that every single performance build is picked exclusively for a customer's needs. 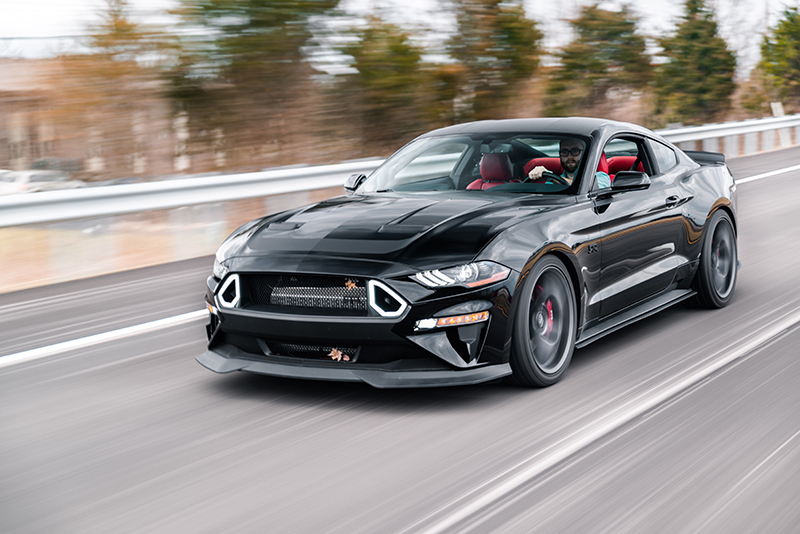 The dealership says its motto is "pick your power," and that the crew will build you a custom Mustang (or F-150) fit to your exact needs in both form and function, so long as you can wait about three to four months for delivery. In theory, that gives enough time for Vaughn Gittin Jr. to head on over to Ohio and test one out.